The Standing Stone: Nenagh Castle, Co. Tipperary. Location – OS: R 872 794 (map 59). 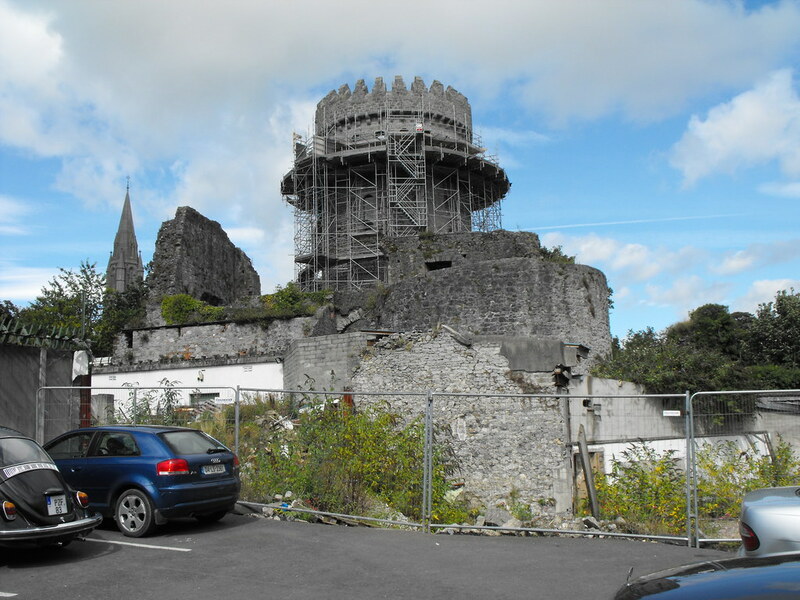 The castle is located right in the centre of Nenagh town and cannot be missed towering above the other buildings. 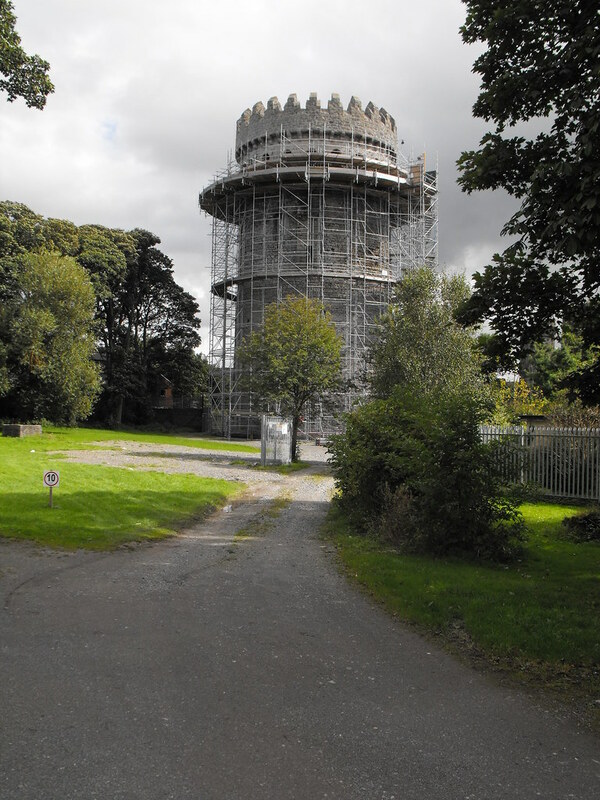 Description and History – It is hard not to be impressed by this imposing castle which dominates that town of Nenagh. It will be a castle that I will have to return to because I arrived there to find that it was closed for renovation work but it should be open again to the public again in early 2010. Therefore I can’t give too much information about the inside of the castle. The Archaeological Inventory of County Tipperary gives a lot of information about the interior but I only like to give that information when I have seen it myself. A lot is known about this castle and its turbulent history. The castle was built between 1200 and 1220AD and in 1332 ‘prisoners took the castle of Nennogh and the gates there were burned; which was recovered and the prisoners kept.’ At the same time the castle was described as ‘...a castle surrounded with five towers, a hall, a house beyond the gate, a kitchen with stone walls roofed with shingles.’ The castle was the main seat of the Butler family until the 14th century when it passed into the hands of the Mac Ibrien family and was eventually returned to the Butlers in 1533 under Piers Butler, Earl of Ossory. Following the Williamite wars Nenagh castle was dismantled so that it would not be used again in any future conflicts. A landowner named Solomon Newsome tried to blow up the remaining portion of the castle in the 18th century but was unsuccessful. A large hole in the N wall represents this effort. The castle was five sided in plan with five large towers, thought to be the largest towers in Ireland and Britain. There was also a large twin-towered gatehouse and a large wall surrounding the castle. Only fragmentary ruins remain of the 5 towers as well as portions of the large wall and gatehouse. The main remaining feature is the keep which stands 4 storeys high with a castellated top that was added in the 19th century. Since the castle and its grounds were closed I was unable to photograph little beyond the keep. I intend to go back to this site when it re-opens and I will update this page them. Difficulty – Easy to find as it is located in the centre of Nenagh town. It is due to re-open in early 2010 so I would advise ringing the tourist board first to make sure that it will be open when you get there. This was as close as I could get to the castle. Hi - It's reopen and renovated and well worth a visit.